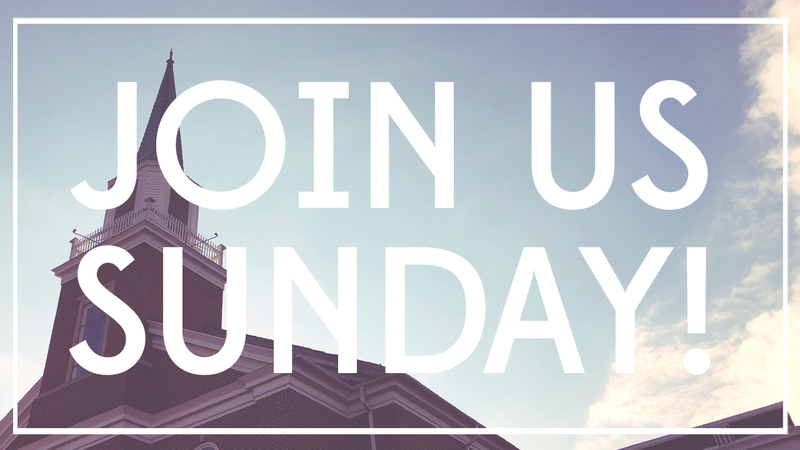 We meet every Sunday at 10:45AM for our Sunday Morning Worship Service. All are welcome! One of the blessings of being a historic church is that we have a congregation with saints who have been walking with Jesus for decades. When you come to Waverly Place, you’ll notice that this is an older congregation – but don’t let that intimidate you! As our church steps into a new era of life – we prayerfully expect to see people from all walks of life become a part of our church. Whether it’s children or senior adults, teenagers or middle-aged, singles or growing families – we want to help you get connected in meaningful relationships here at Waverly Place. Given our wide diversity of age, on any given Sunday morning, you’ll find anything from jeans and a sweatshirt, to suit and tie. One important question many people ask is if we have childcare during our Sunday service. At Waverly Place we believe that children are a gift from God and we desire, as much as possible, to see the entire church praying together, worshiping God together, and sitting under the preached Word together. With that said, we also provide a nursery for children ages 5 and under during the sermon. The purpose of the nursery is to allow parents to sit under the Word of God with minimal distractions. There is certainly no pressure for a family to put their child in the nursery; we leave this decision up to parents. One of the defining marks of our church is that we love the gospel (good news) of Jesus Christ and desire it to be the heartbeat of everything we do. For that reason, every Sunday morning we want to make our gathering all about Jesus. Not only do we pray the gospel and preach the gospel – we also sing the gospel. One of the great things about living in today’s times is that we have access to a wide range of music to help us sing the truths of God’s love for us in Jesus. We do this through a blend of old and new songs, all declaring the truth of who God is and what He has done. While there may be a variety of musical instruments, we believe the main instrument are the voices of the congregation, joining together to proclaim the wonders of God! At Waverly Place it is our sincere belief that God continues to speak through His Word, as He has in ages past. We join together each Sunday anticipating to hear from Him. For that reason, the main part of our Sunday morning worship is the preaching of God’s Word. Rather than simply hearing the preacher’s ideas on a topic, we will learn from the Bible and the preacher will help us come to understand its relevance for our lives. While we often put the Bible verses being preached up on the screen, we want you also to be able to follow along in a personal Bible. If you don’t have a Bible, we are happy to give you one. Our hope is that in hearing God’s Word and receiving it by faith, you would encounter the glory and beauty of God! Once a month, during our service, we celebrate the ordinance of the Lord’s Supper. In partaking of the bread and the cup, we remember how our Lord gave his body and blood for our salvation, and has united us together into one Body. This time is reserved for those who have made a credible profession of faith, have made that profession public through the ordinance of Baptism, and are now living out that profession in accountability to a local church. If that does not describe you, then this time still serves an important purpose, as you have the opportunity to reflect on how you should respond to the life, death, and resurrection of Jesus. Likewise, as we have opportunity, we also celebrate the ordinance of Baptism during our service. Upon their profession of faith, we are able to observe this wonderful picture of a Christian’s union with Christ, as we are buried with him in death, but raised with him to newness of life. At the conclusion of our services we have a time of responding to God’s Word as well as time to fellowship with one another. When you join us on a Sunday morning, we hope you will stick around and give us a chance to get to know you. Our members enjoy staying to talk to visitors and catching up with one another, so feel free to introduce yourself to someone around you. Please stop by and introduce yourself to our pastor and let us know how we can stay connected. We hope to see you Sunday!